Rainless and occasionally gloomy weather is forecast for March 13, the Ministry of Ecology and Natural Resources reported. It will be foggy in some places in the morning. North wind will be followed with south-east wind in the afternoon. The temperature will be +3-6?C at night, +9-13?C in daytime in Absheron peninsula, +3-5?C at night, +10-12?C in the afternoon. Air pressure records 763. 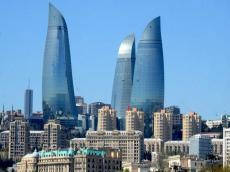 In the regions of Azerbaijan, rain is predicted in western areas while rainless in eastern areas. It will be foggy in some places at night and in the morning. East wind will blow and intensify in some areas. The temperature will be +2-7?C at night, +11-16?C in daytime, -2+3?C in mountains at night, +5-10?C in daytime.